For those of you who are aware of the health dangers posed by artificial sweeteners and dutifully avoid them, the featured study findings may come as a shocking surprise. Just like other artificial sweeteners (such as aspartame), sucralose can wreak havoc on your health. The personal testimonials on my site alone, submitted by people who have suffered adverse reactions to Splenda, surpass the number of people that were formally studied in the research submitted for FDA approval. The web site truthaboutsplenda.com also lists consumer complaints from Splenda consumption. Well, its presence in water supplies may very well be a sign of just how prevalent its use is, because as revealed in that one absorption study, sucralose is expelled in urine and feces pretty much unaltered. I’m not sure which is more concerning, the thought that so many people use and excrete Splenda that it’s becoming a drinking water contamination hazard, or that sucralose is so persistent—so difficult to break down that it can pass right through your body, and go through chemical water treatment, and STILL be present to have another go through the system of another unsuspecting person having a drink of water! In reality, “diet” foods and drinks destroy your body’s ability to count calories and actually promote weight gain. For example, drinking diet sodas has been found to double your risk of obesity! 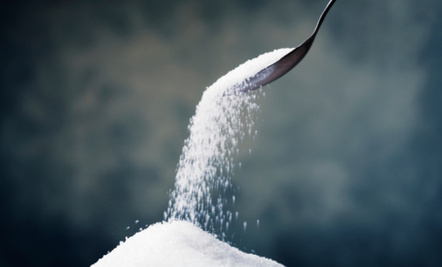 Complicating matters further, artificial sweeteners also appear to be highly addictive. It’s important to understand that sugar cravings is typically a sign that your body needs fuel. Using artificial sweeteners will NOT trick your body into thinking it has had its fill. Instead, artificial sweeteners can increase sweet cravings because your body didn’t get the energy boost it was expecting from that sweet taste. We informed people now those who understand have taken their cash and gone elsewhere rather than buying diet coke, zero, and all those truly nasties and cocacola have discovered that people are voting with their feet or cash more to the point and not buy their products anymore... well remember those who are informed. they have been hard at it trying to change things in their diet products but I guess once bitten twice shy. I wouldnt touch it with a forty foot pole. I met a young man a few years ago and I commented on the ingredients within the product he was giving me as I was doing a survey to do with food. Anyway we chatted away and he told me after I mentioned this artificial sweeteners perils that his father was quickly admitted into hospital with an unknown problem. He was very ill. No one could find the cause till a Dr from another state came and visited him and asked what he drank rather than eat and he said a can of diet coke a day. Bingo.. they did brain tests and sure enough he had a brain tumor. That is what happens. Easy as... They talk about added preservatives, additives etc causing cancer. well there you go. read labels all the time. I do. Artificial sweeteners increasingly have a bad reputation with the public as being unhealthy for ones diet. Surcalose, the artificial sweetener found in Splenda, has its share of critics. Recently an article titled Surprising Study about Artificial Sweeteners written by Dr. Joseph Mercola has warned the public about the danger of sucralose. The article was published on the website care2.com, and can be found at http://www.care2.com/greenliving/surprising-study-about-artificial-sweeteners.html. According to Dr. Mercola, consuming sucralose causes numerous adverse effects such as drug resistance, sucralose addiction, alteration of gut microflora, and weight gain. However, several peer-reviewed studies of sucralose suggest that sucralose is a safe food additive. It appears that Dr. Mercolas arguments are misleading, incorrect and heavily supported by biased personal testimonials. I always try to avoid these, except stevia. Thanks for the vital information. Ick! I try to avoid artificial sweeteners as much as possible. I was avoiding it before I even knew it was awful for you. I just don't feel right putting anything in my body that tastes like a chemical. Ioana, I personally wouldnt touch Xylitol at all but I would if I wanted too buy STEVIA in the organic form. Better still as I have mentioned before you can go to your local Garden Nursery and ask for the STEVIA PLANT to grow. No cost then over the time, All you do is to keep it out of Frosts b/c it doesnt like frosts and when you need sugar then go and pick a leaf and toss it into your tea or coffee. You can even cook with it as well. Dry it and crush it up. STEVIA is excellent for DIABETICS B/C it doesnt impinge on sugar levels at all, doesnt spike diabetes and best of all is, it doesnt have those nasty debilitating side effects that other substitutes have. So Stevia is the go. It is delicious and quite sweet, Id say that you might only want half a leaf and the leaves are small too. Stevia is quite sweet, so you have to learn how much you need. YOu can put it into your h/bag into a clear pouch or cling wrap and its way better than having a plastic hard container etc. Im sure you ll like it. I d skip Xylitol. Dont believe me..then do a Google Search of Stevia and you will find it 100% healthier even than Xylitol. I recently found out that there is a type of sugar that is apparently healthy for the body. It's called xylitol and I think it comes from fruit and birch trees. I found it at the pharmacy next to other types of sugar substitutes. On the package it says that it's for people who have diabetes or who are hypoglycemic. I was wondering if this sugar is safe for people who don't have these conditions. Debbie..... its just as bad. Anything other than Stevia and Agave are all tarred with the same brush. Artificial Sweeteners which are also called Aspartame to confused everyone or NEOTAME are all carcenogens...but in time WILL CAUSE ALZHEIMER's as well as 92 serious body diseases. It is called THE SILENT KILLER. and many sit and wobble in their seat and get all chuffed up and say oh but I have been drinking it or eating it for X amount of months or years or decades and nothing has happened..I say YET!!! you might think its fine but it will creep up on you and lest you realize that what is causing a problem in your body is actually and usually the side effects of aspartame Its in drugs too. Okay see if I can convince you and others even more..you have ants in your house and I am a lover of ants but only outside the house not inside the house...so its well known that if you want to get rid of them inside your house, is to use ASPARTAME OR ARTIFICIAL SWEETENERS . The ants take the powder back to their nest and they die.....ALSO PETS DIE TOO... so what does that say about what YOU are ingesting? I like Sweet 'n Low. How bad is that one? Yes Maria...so you would ask yourself and to all who use it, what is it doing to us then when it can kill Ant nest colonies? Admittedly they are tiny compared to us, but when you use a/ sweeteners over a period of time over and over and over again, you then become like the ant. You figure it out. Pity all these people who drink it and have no idea about the ramifications to their health and well being are hoodwinked into ingesting it by the media's advertising. Chewing gum..how many people chew sugar free chewing gum? Thousands! I ask them..... could you tell me the difference between Aspartame and Artificial Sugars please? Not one person could or can tell me. Why? Because they havent a clue b/c they have been brain washed about Artificial Sweeteners and no one knows the meaning of Aspartame..the answer? THEY ARE THE SAME. different word but both words mean the same.... artificial man made sweetener. Want to use a sweetener that doesnt cause anything to you but its sweet like sugar and is good for you then grow STEVIA. Pick off a tiny leaf. YOU only need ONE LEAF to do it for you...or even half a leaf b/c its so sweet. tastes like sugar too and zero calories. www.sweetpoison.com ...take a look at the website. You will be shocked to learn what a/sweeteners do to you.